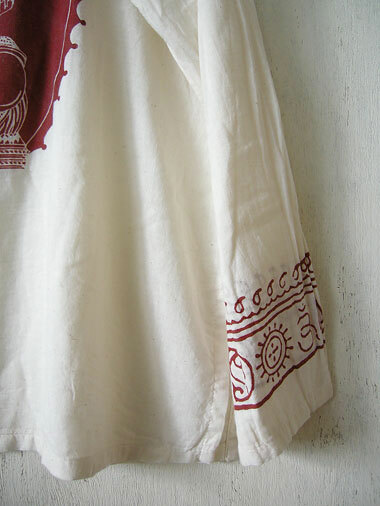 Lightweight blouse with long sleeves, made of soft and comfortable cotton. 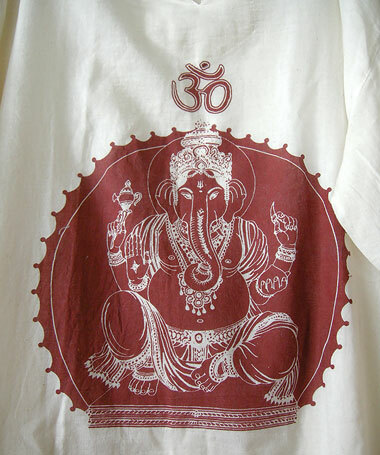 The frontside of this shirt is decorated with a red print of the indian elephant God Ganesha. He is known as the remover of obstacles and stands for arts, sciences, intellect and wisdom. 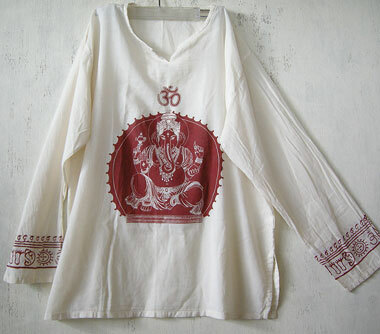 Above the God there is the OM symbol, which stands for the Aum-Mantra.The bottom of the sleeves are decorated with old symbols. Color: ivory with red print. Washing: hand washable only,cold water,don't bleach, separated, low heat iron.